Metal base with original fabric from Tecno. 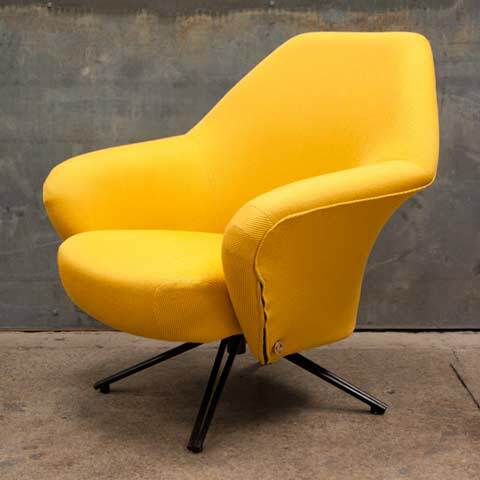 Rare early edition P32 swivel and tilt lounge chairs designed by Borsani. Fabric is in fantastic condition. Bases show slight sign of use.